VHT provides a multi-high performance coating system for the ultimate in protection and quality. This system includes surface preparation and Hood, Bumper & Trim Paint. 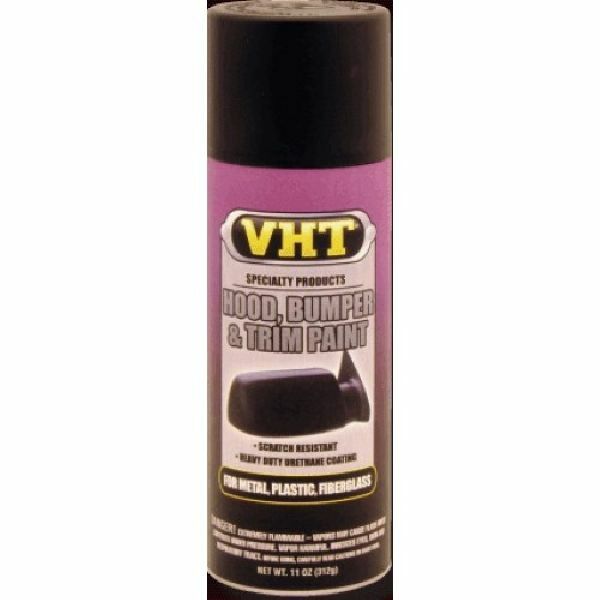 VHT Hood, Bumper & Trim urethane coating is formulated with elastomers that allow for the flexing of paint on pliable surfaces. This unique formula is also well suited for fiberglass, plastic and other resin based bodywork. Equally suited for metal, VHT Hood, Bumper & Trim Paint offers excellent hide and mar resistance.